Excuse the fingerprints on my box lol! I have already played with some of the products while putting makeup on... 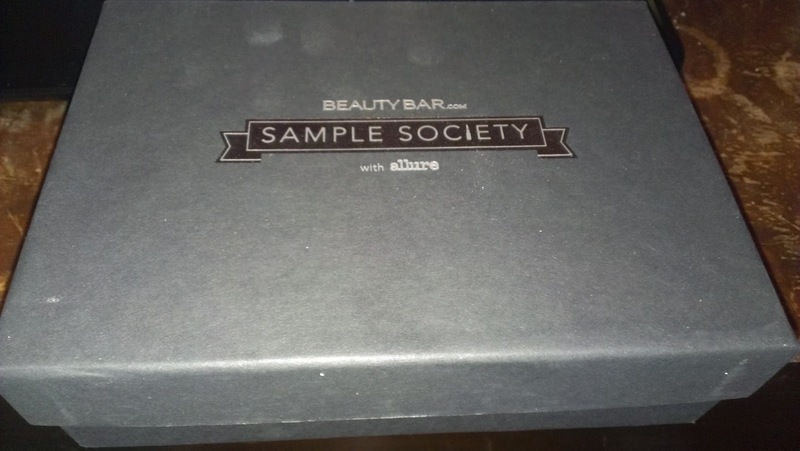 I LOVE my sample society boxes! I'm so excited every month to receive these. To me they are way worth the $15 price, and I prefer them over any other box. I haven't tried Glossy Box and may give it a shot some time, but for right now I'm more than satisfied with my Sample Society box, they've never let me down. Ever. When you open it, there's the product description card with the $15 off coupon for use on Beauty Bar on any product brand sent that month. Then there's also a little Allure mini magazine with makeup & beauty tips. 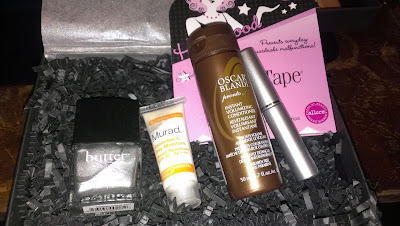 This month's box was exceptionally awesome! 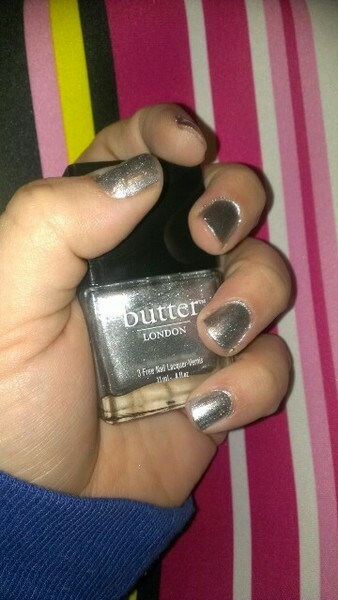 I love when they surprise you and give you a full size product (the Butter London nail polish). I have tried all the products except the Fashion tape at least once. I love the Butter London shade! The product I'm most obsessed with so far is the Murad Moisturizer. I sure wish that product wasn't $60! I may have to breakdown and get it... It makes my face feel absolutely amazing. I don't get impressed easily by moisturizers, but this one sure has me dreading the day I empty this sample size! 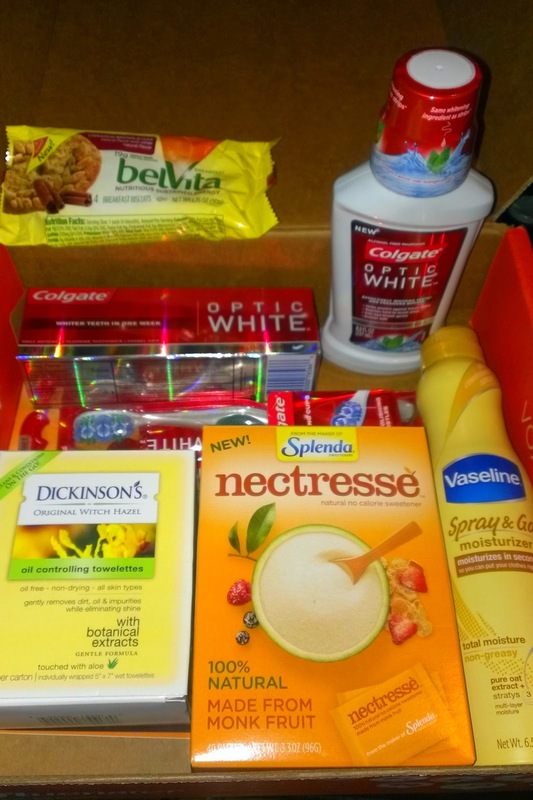 If you're unfamiliar with VoxBox by Influenster, you can click the link HERE to learn more about it. This is my first VoxBox ever, so I'm really excited to have received it and to share it with you today! I was pleasantly surprised by everything inside. Can you believe it's already March!? Seems like just yesterday we were Christmas shopping, but here it is time for February Favorites! I can't tell you enough how much I LOVE this candle! 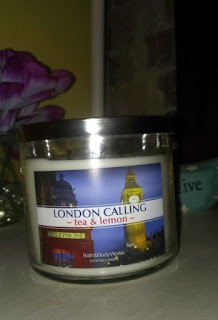 It's a Bath & Body Works candle in the fragrance London Calling [Tea & Lemon]. Let me tell you... it smells EXACTLY like a glass of tea with lemon. It's amazing and smells so clean and fresh. 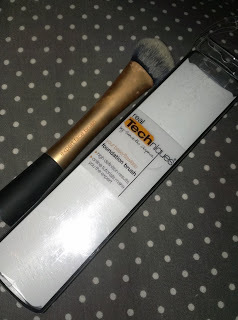 This brush was featured in my recent Ulta Haul post. It's by far the best foundation brush I've ever used. I even like it more than my much more expensive Sigma foundation brush. The bristles are soft & dense, which provides the perfect flawless coverage. I can't believe how affordable this brush is for the quality. You must try it. 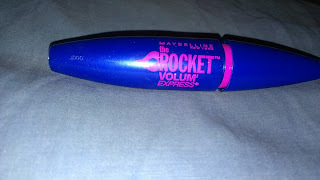 Maybelline's The Rocket mascara was also featured in my recent Ulta Haul post. After using for several weeks, I can definitely say I really like it. I won't say it's the best mascara I've ever used, but it's a pretty great one. The winter weather has reeked havoc on my skin. I'm loving the mark. whipped up body butter in the fragrance Jasmine Petal. 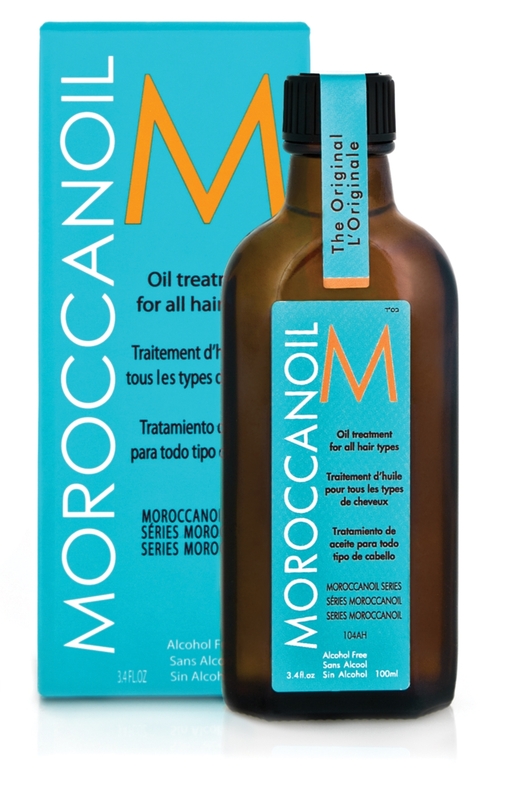 A wonderfully creamy texture that provides lots of moisture to the skin. Plus, the fragrance adds a delightful touch of spring when the snow is coming down outside. Okay you all know how much I LOVE the dollar tree. 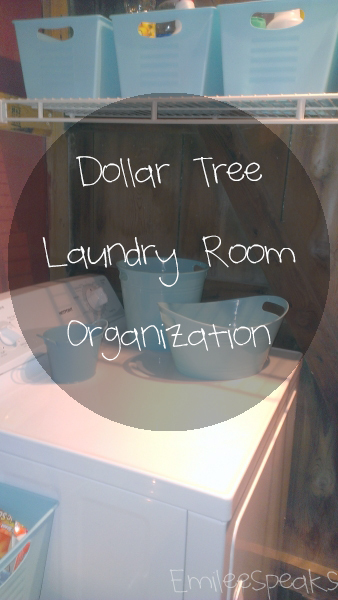 Yes it's full of cheap looking junk, but it can also be an organizers candy shop! More often than not there's flimsy containers and bins, but sometimes there's a diamond in the rough. Lately, they've been stocked with wonderful bins. I purchased all that my dollar tree had in the colors I needed. My kitchen colors are red, black, white, && silver. They had bins in a beautiful red color that matched my kitchen perfectly. 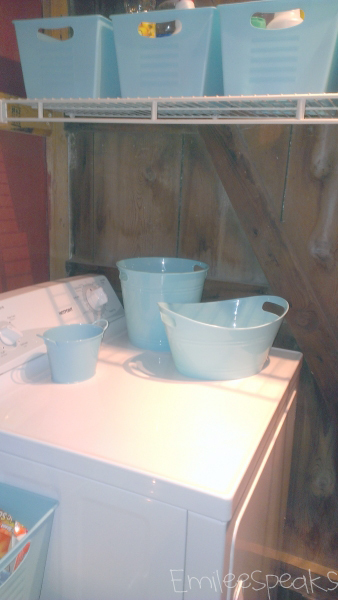 I also picked up every single Tiffany blue colored bin & basket they had. They're adorable and such a gorgeous color. Now, this is where my addiction comes in... 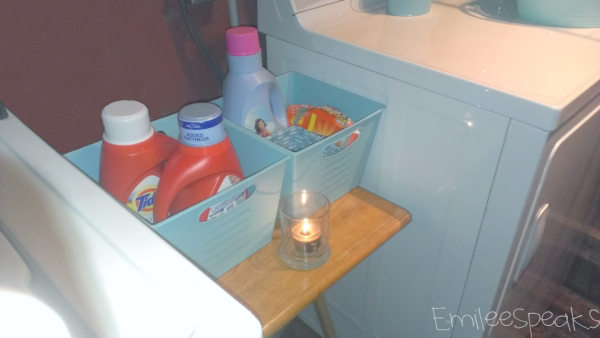 I had no use for these bins planned when I purchased them but I had to have them ;) This led to an overhaul of my laundry room which I'm going to share with you today! Background: I live in a 3 bedroom, 3 bath "loft" style apartment. 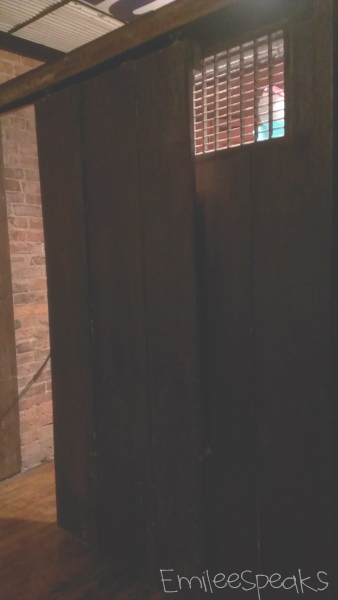 It has exposed brick, corrugated aluminum, hardwood floors, and metal artwork built into the walls. It's very artsy/industrial and I absolutely adore it. I'm telling you this so you better understand the "laundry room" I have to work with. My laundry room is built into my living room out of barn style wood with a sliding barn door. It's small with very little storage space to work with. Unfortunately, I got so excited about starting my project that I didn't take "before" pictures. Let's get to it! This is the entry to my laundry room just off of my living room. That is the sliding door that is partly open. The containers on my dryer are essential to me. It might bother other people to have several things right on top of their dryer, but since I lack shelving, this works for me. The tall bin in the back is what I use as a waste basket. The wide shorter bin on the right is what I keep my cleaning rags in. And the cute little tin on the left is for change that gets forgotten in pockets. This is the one shelf in my laundry room. I lined my bins up in a row. 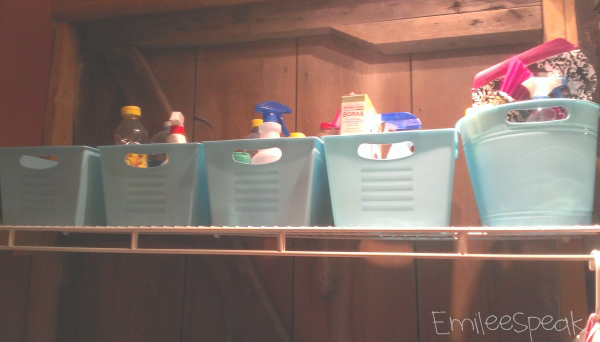 Each square bin holds extra cleaning solutions, spare laundry essentials, and the tall bin on the right hold my standard daily cleaning supplies. This way I can grab the bin and do my cleaning and everything is contained into one carrier that I can take all around the apartment. 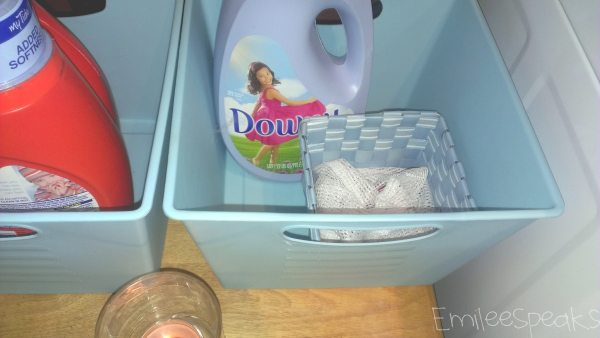 Inside my fabric softener bin, I have a cute matching basket. This basket houses my mesh bags for delicate undergarments.